My Yukon and Charley keeping hydrated at a friend's house in Pickering Ontario. Here in Pickering Ontario we are experiencing some extreme temperatures. As a result, our veterinary clinic has received a lot of questions about how to keep your pets cool. Here is a little known fact, dogs and cats have sweat glands in their feet. And cats will pant like dogs to keep themselves cool. So a quick way to cool your pet is to put their feet in cold water or let them wade around in water (courtesy of OVMA). Please be careful this week. Not only for yourselves, but for your pets. 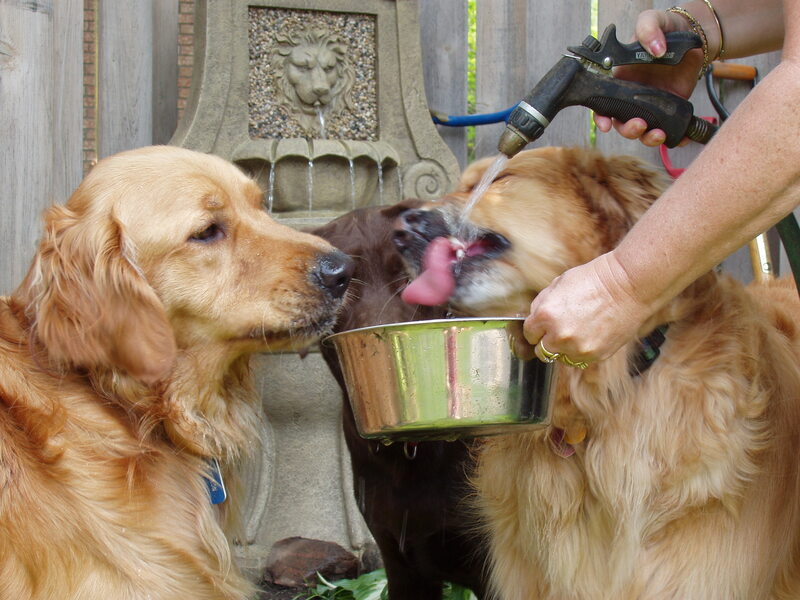 Make sure you and your pets are well hydrated and ideally, stay indoors where it is cool.